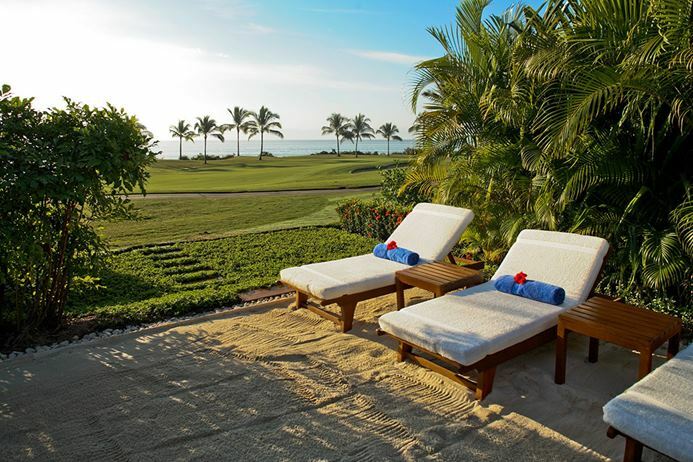 Located in gated golf community, spacious and airy, peaceful ambiance, ideal for sunbathing. 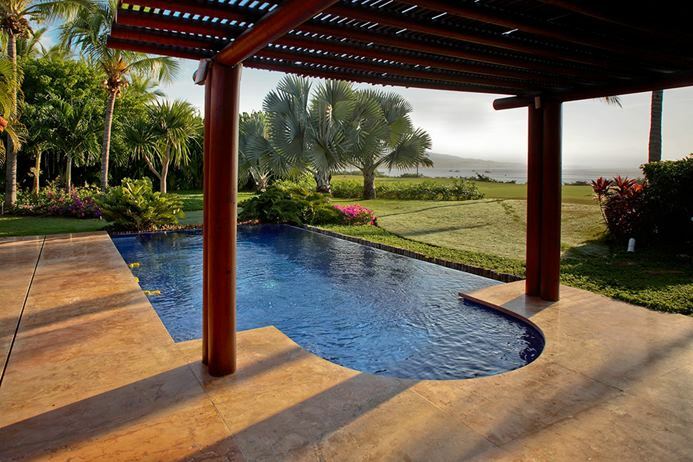 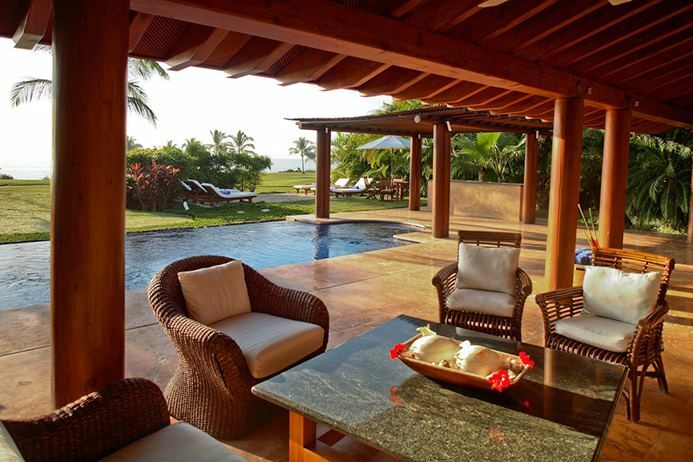 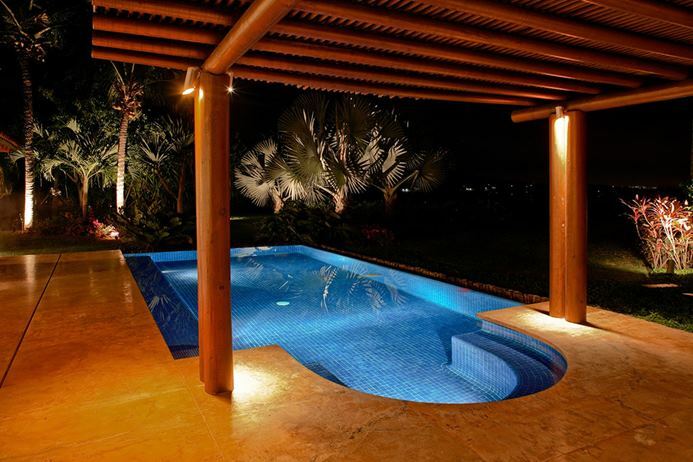 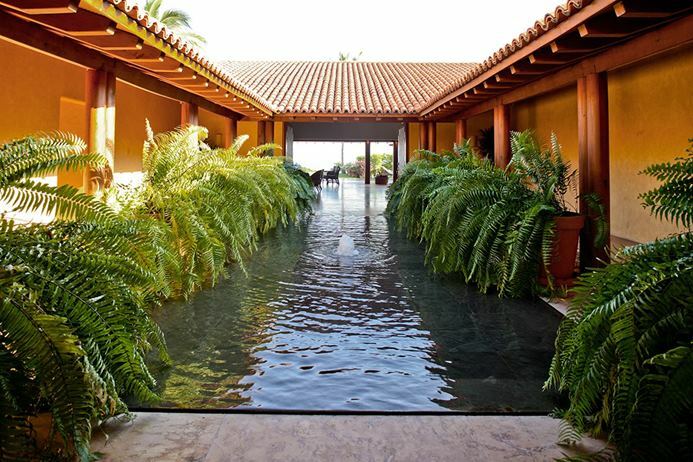 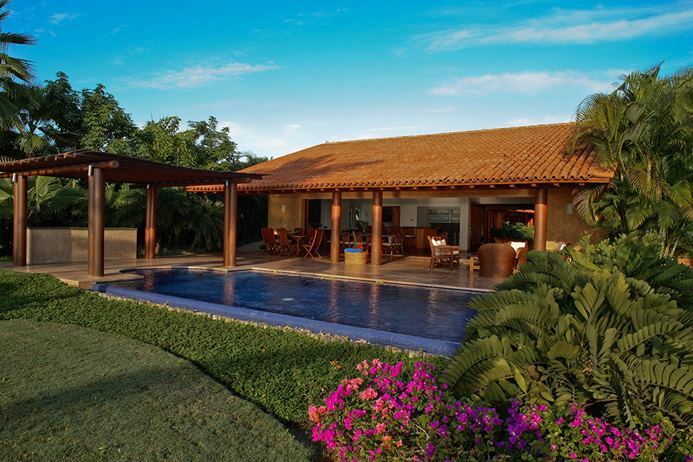 Built on one level, this 8,000 square foot villa will accommodates guests of all abilities. 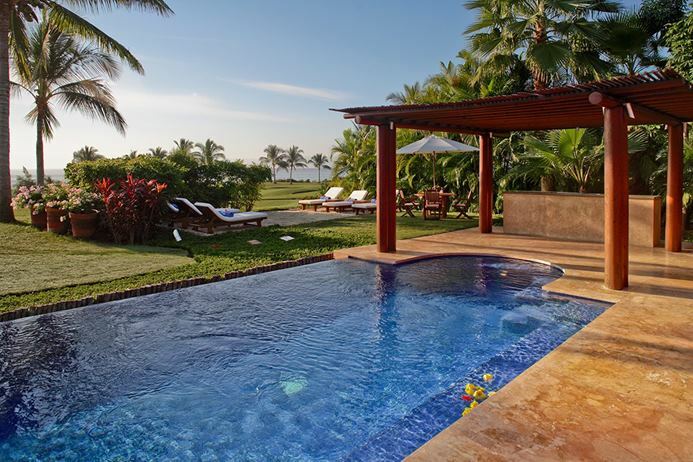 There is plenty of room for the extended family or even an executive retreat. 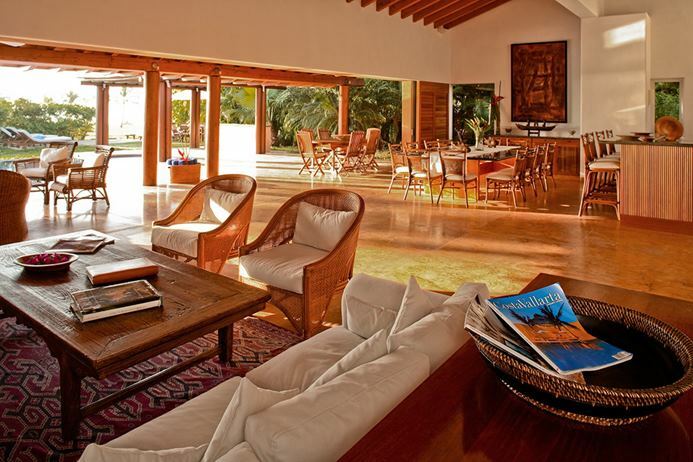 The open plan living area is spacious, airy, and is open to a covered living area with the pool terrace, which is surrounded with tropical garden. 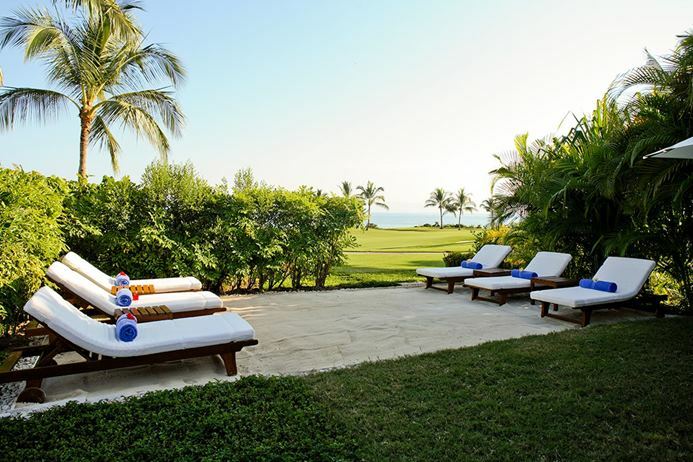 Several sun loungers, arranged on the terrace and in a private sandy garden area are ideal for soaking up the warm Mexican sun. 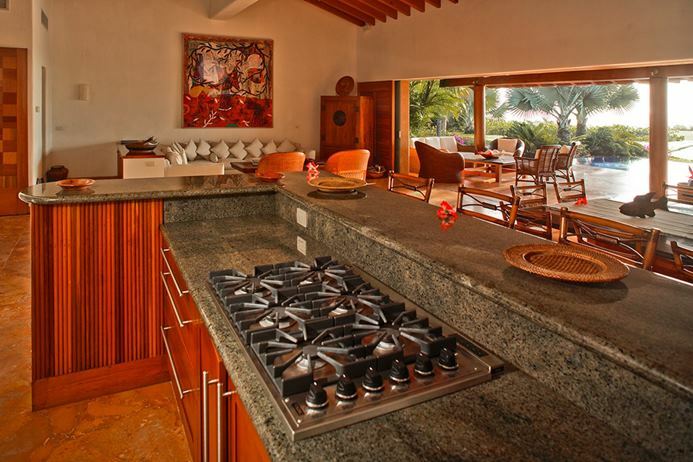 Dine indoors or out, your private cook will prepare and serve breakfast and lunch each day, which leaves you plenty of time to relax, play golf, or simply enjoy a refreshing swim in the pool. 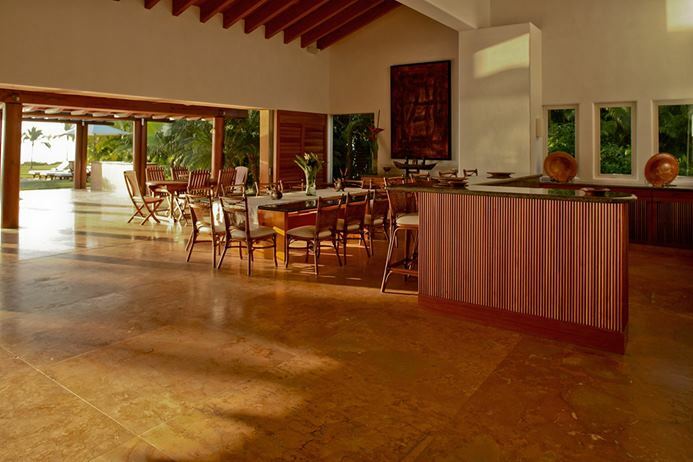 There is plenty of room for friends and family to dine together; the large dining table comfortably seats 12 guests with a second table seating 6 guests. 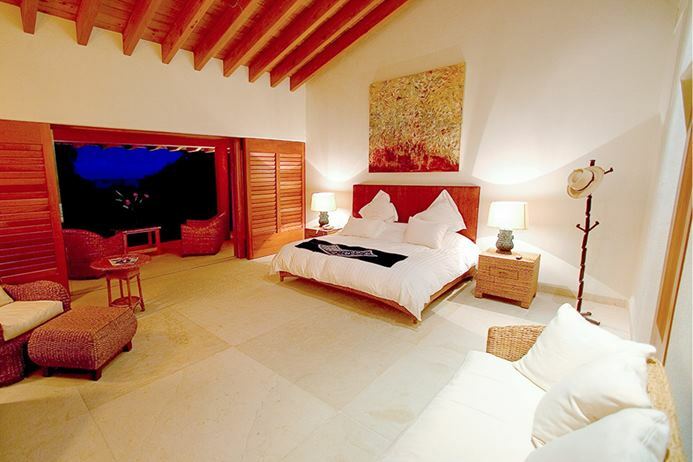 The well-appointed bedrooms are spacious and private, and have an en-suite bathroom featuring a unique glassed in courtyard like sitting area. 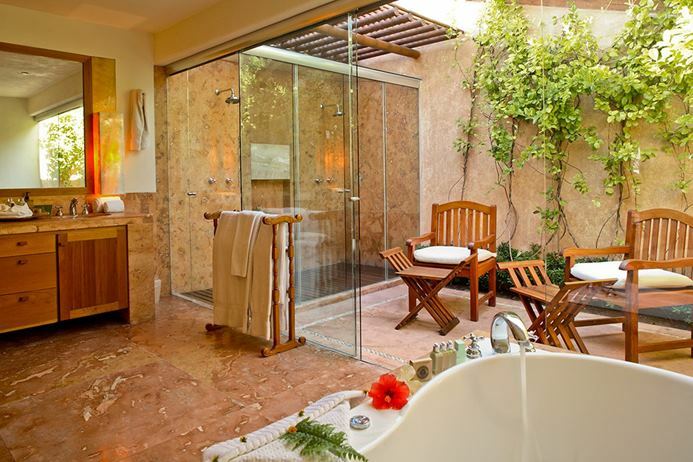 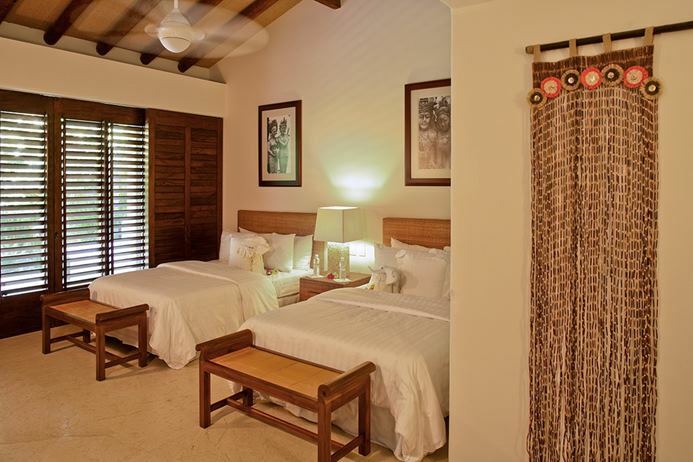 A staff of three including a personal cook, housekeeper, and waiter (8 hrs per day), access to the golf course and beach club, and a private pool make villa MEX SOL a most memorable and pleasant vacation home.